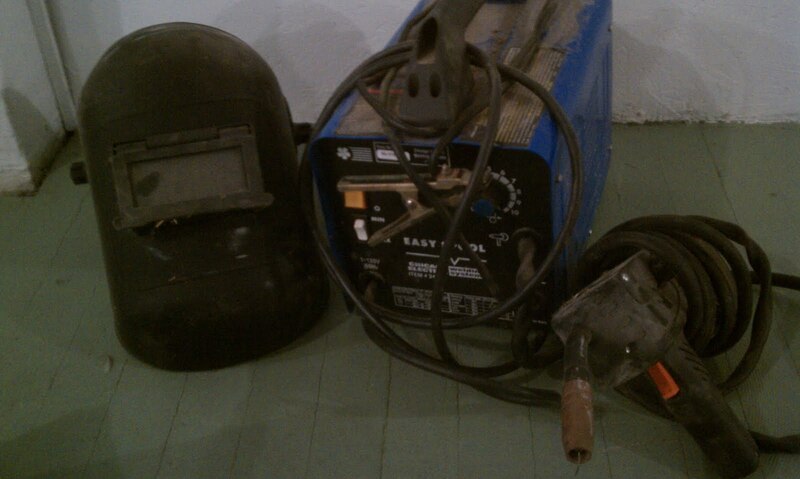 Just brought in my flux core wire welder. It doesn't use any gas like a MIG or TIG welder, which is good but the welds are little uglier. Still works if you need to stick pieces of metal together though.